We are a company built on trust and referrals. Your happiness & satisfaction is of the utmost importance to us. We strive to provide you with an unprecedented level of service & expertise. We have over 10 years of experience working in IT industry (Computer, Laptop, Iphone, Ipad, Camera, Wireless Networking). Many of our customers are return customers and many of our new customers are referrals. 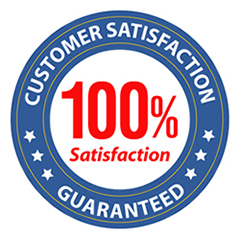 We guarantee that you will be 100% satisfied with our work. If we do not meet or surpass your expectation we will work continuously to ensure your satisfaction. We also guarantee that we will provide you with the most cost and time efficient solution for your computer, laptop, iphone, ipad, camera, wireless networking throughout NY & NJ. We guarantee not to up-sell you on services or parts that you do not require. We guarantee our rates to be extremely competitive. We will go above & beyond to ensure that you are completely happy with the level of our service. All of our service calls carry a 30 day warranty. We strive to build relationships with our clients. With dozens of good references and reviews rest assured that you’re in great hands when you deal with the experts at 2fixcomputer. Call today and speak to a knowledgeable professional and allow us to assist you with your technology needs!